How to treat foot odor? - Glitter & Gorgeous!! Sweat consists of salt, water and urea. 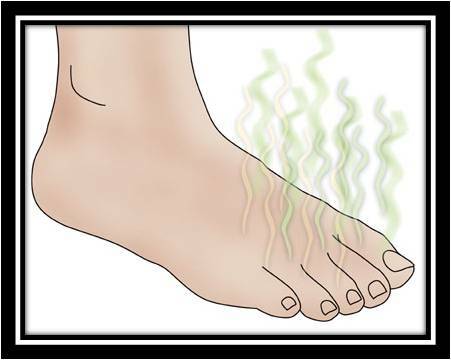 Bacteria get nutritive on the sweat and remove the waste particles on your feet in the form of organic acids. Organic acids smell really bad and thus this is the cause of the stinky/sweaty/smelly feet. How to treat smelly feet? 1) Boil some water in a vessel and add some black tea to it. Then pour the water in a bucket containing cold water. Soak your feet in this mixture for 30-45 minutes and completely dry your feet. Tannic acid in black tea kills bacteria and closes pores thus keeping your feet dry and sweat free for a long time. 2) Put some powder (deodorized) into your shoes and apply lots of powder on your feet as well before you wear your shoes. Powder absorbs the sweat and keeps feet sweat free and dry for long periods. 3) Go and get those antibacterial woolen or cotton socks to soak your sweat. Never forget to wear socks before you wear your shoes as they absorb sweat and keep feet dry and shoes smell free. 4) Try to dry your shoes at the end of the day so as to avoid smell the next day. 5) There are freshener sprays available in market for your shoes to deodorize them. If you can lay your hands on them, believe me you’ll be really happy. 6) Make a solution of a bucket of water and Epsom salt and soak your feet into it. It makes feet sweat less. 7) Soak your feet in radish juice for some time. 8) Nicely crush ginger or make ginger juice and apply to your feet to prevent excessive sweat. 9) Adding some vinegar to water and soaking your feet in it also helps to prevent smelly or sweaty feet. 10)Adding some baking powder to your shoes also helps to reduce perspiration from feet. 1) Change socks every day, please. 2) Washing socks as frequently as possible. 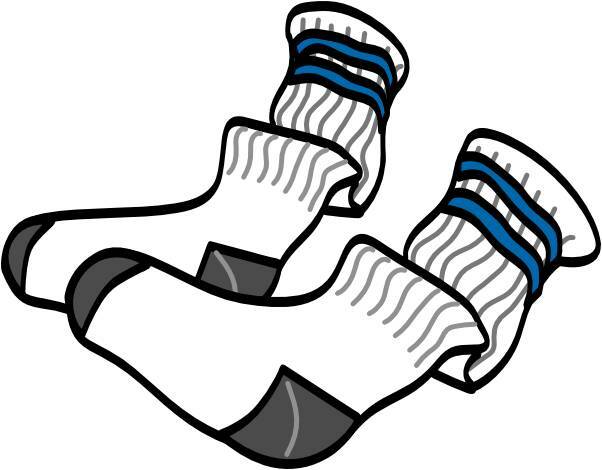 Please don’t wear the same pair of socks day after day as they make the socks and your feet smelly, sweaty and yucky! 3) Use foot sprays available in the markets to get less sweat feet. 4) Foot scrubs as widely available in the markets nowadays. Scrub your feet 3 times a week to make your feet soft and less sweat.